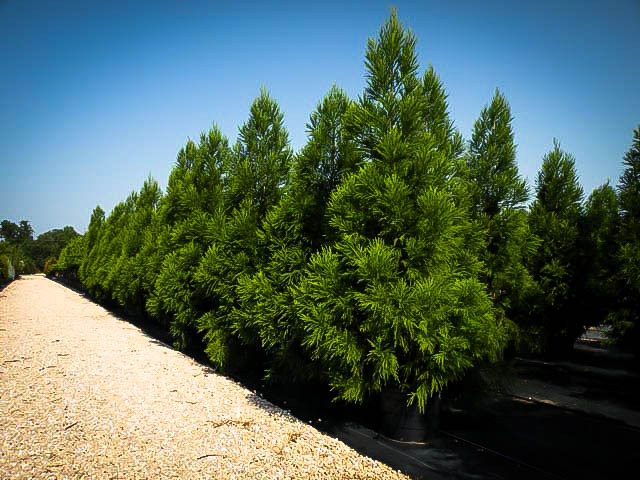 For a stately, fast-growing evergreen that can handle poor soil and yet grow fast, choose the Yoshino Japanese Cryptomeria and you won’t be disappointed. Whether you want a specimen for a focal point, a matching pair to flank your doorway or an attractive belt of evergreen screening, this tree fits the bill. 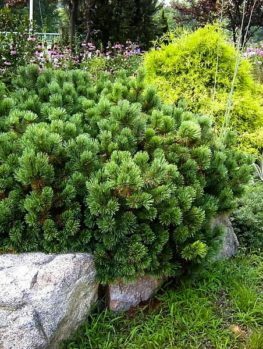 The ability to thrive in the poor soil often found in urban conditions, as well as in poorly-drained soil, makes this evergreen first-choice for difficult locations. When young it will grow up to four feet in a year, so it quickly becomes a mature specimen or a wonderful, rich-green screen from weather or ugly views. 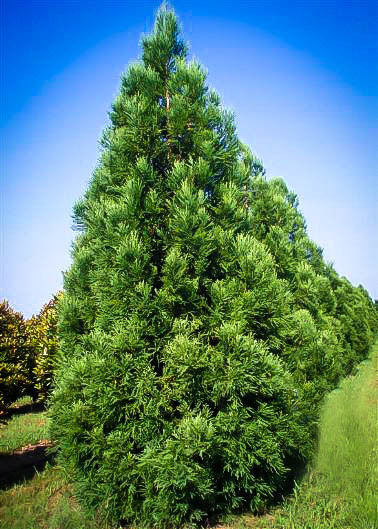 Unlike other fast-growing evergreens, the Yoshino Japanese Cryptomeria is low-maintenance because it rarely if ever needs trimming to keep its dense form. Evergreen trees have been one of the most popular additions to temperate gardens for decades now, and it’s easy to see why. They’re generally easy to maintain, many species don’t contribute to the piles of leaves that need to be cleared up every fall, and of course they keep their foliage all year round. That’s a big advantage all by itself, because one of the challenges for any gardener is keeping the scenery attractive even when most plants have gone dormant for the winter. One of the easiest and most effective ways to break up the endless vista of skeletal branches and leafless twigs is to add a few trees and shrubs that will still be green and triumphantly alive. 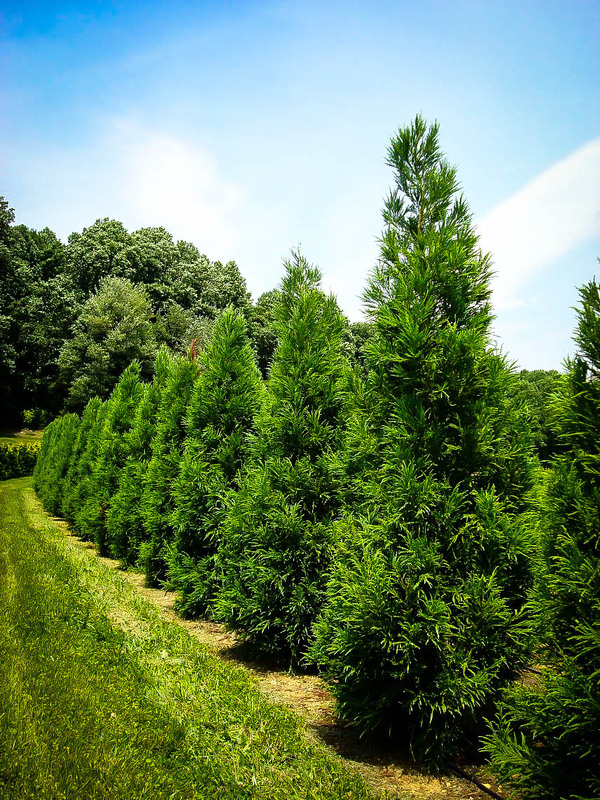 There are many popular evergreen species, but the Japanese cedar Cryptomeria japonica is one that we think deserves more attention. The first thing to know about Japanese cedar is that, despite the name, it’s not actually a cedar at all. Like many trees popularly known as cedars it’s in the cypress family. This example is native to the forested areas of Japan and China and is highly valued there for its timber. In fact it’s so valued that it’s the national tree of Japan and can often be found there planted at shrines and temples. Wild trees can reach as high as 150 feet. Yoshino is a more compact variety of the Japanese cedar that’s proving very popular with gardeners looking for one of these trees. It generally reaches around 30 to 40 feet tall and has a straight trunk with a pyramidal form. 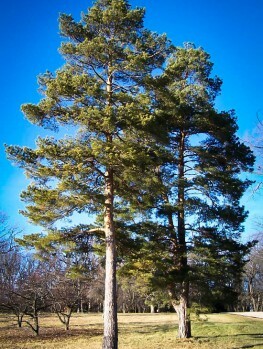 It’s fairly wide for a pyramidal conifer, usually spreading to between 20 and 30 feet across the base. The branches grow horizontally and are arranged in tiers around the trunk; usually the tops droop slightly. Sharp-pointed needles up to three-quarters of an inch long cover the branches in a dense spiral pattern. 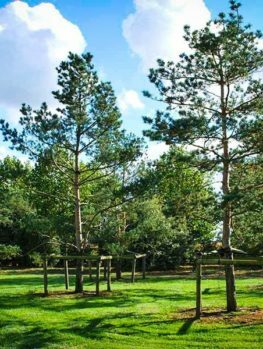 While the needles look quite fearsome they’re actually soft to the touch, making this tree friendly to children and small wildlife. The foliage can take on a range of colors, varying from lime green to a bluish green. Most varieties of the Japanese cedar take on a bronze tint in winter but Yushino is much better at holding its color, making it an ideal choice for maintaining interest through the colder months. 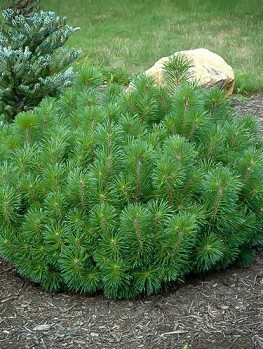 Japanese cedars are non-flowering but produce cones up to an inch in diameter; these appear at the tips of the branches. Although most of the trunk and branches are usually hidden by the needles the red-brown bark is deeply fissured and often peels away in strips. 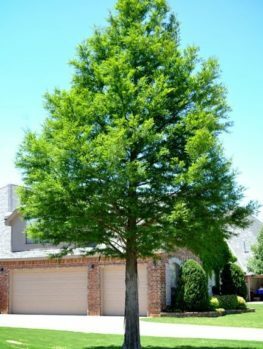 Many members of the cypress family are warm-weather trees, but Yoshino is more robust and can be successfully grown in USDA plant hardiness zones 5 to 8. Because it doesn’t like dry soil it’s not suitable for the drier parts of the South, and in northern New England and parts of the Midwest the winters can be too cold for it, but it will thrive across most of the country. Look for a spot that gets full sunlight and has moist but well drained acidic soil. Rich soil with a lot of humus is perfect. If necessary Yoshino can tolerate light shade. To prevent damage to the foliage in winter try to arrange shelter from the wind, which can really dry your tree out. 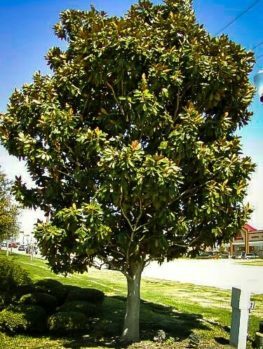 This is a low-maintenance tree; as long as you give it enough room when it’s planted, pruning should not be necessary, as it will hold its form naturally. In fact pruning should be avoided unless absolutely necessary as, while the tree can withstand it, you’ll lose the attractive drooping tips to the branches and many of the cones as well. It’s usually best to just leave it; as long as the soil around the roots stays moist you shouldn’t need to do much. Pest and disease problems are also rare; leaf blight or leaf spot may appear, but in general it’s issue-free. 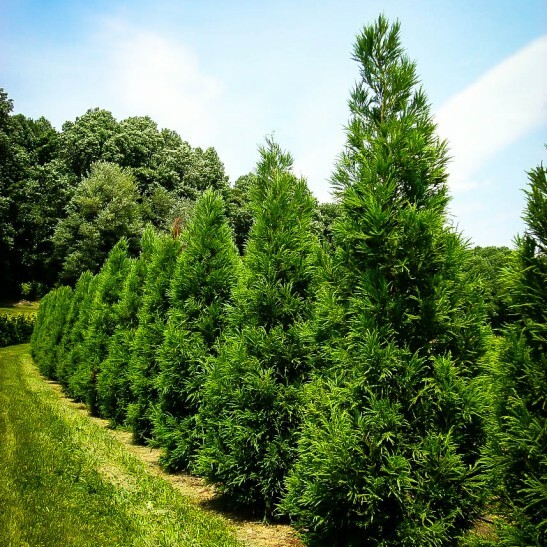 Yoshino is faster growing than most Japanese cedar varieties, which makes it a good choice if you’re looking to plant a screen. A row of these trees will quickly form an attractive but effective barrier to anyone overlooking your garden. It’s dense enough that a well-situated line of them makes for a good windbreak too, so if you want to tame a breezy spot around your home Yoshino is a good choice. 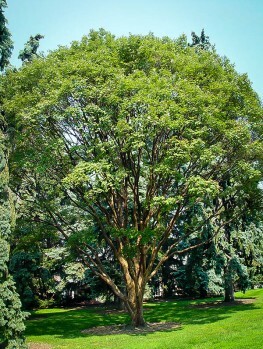 Most gardeners, however, use it as a specimen tree and with its imposing size and appealing looks it’s a natural in that role. 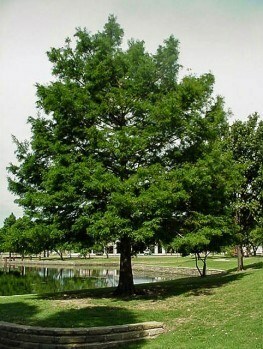 Many gardeners use these trees as a lawn centerpiece, or add height and interest to a naturalized garden or shrubbery. Because it’s not a native species, the Japanese cedar’s cones aren’t a significant source of food for wildlife but some adventurous birds or squirrels may appear anyway; it’s also a convenient shelter for them, either against predators or bad weather. In winter, when so many other trees are bare, they can still hide away among its soft, dense foliage.